With Kanopy, Barrett Memorial Library cardholders have access to more than 30,000 films, for free. 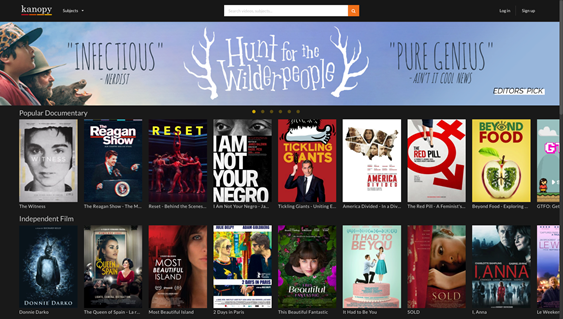 Library cardholders can access Kanopy and sign up to start streaming films instantly by visiting https://lgwb.kanopy.com/. Need help signing up for Kanopy? Click the link below and follow the instructions!